New research published in the journal PLOS Medicine suggests that people who take a particular class of diabetes prescription medications, known as glitazones, have a significantly reduced risk of developing Parkinson’s disease. Researchers analyzed health records of more than 160,000 patients with diabetes in the U.K. from 1999 to 2013. They then matched every one patient taking glitazones to five patients taking other diabetic treatments—all six individuals in the group were the same gender and age, attended the same clinic, and were in the same diabetes stage. They found that cases of Parkinson’s disease were nearly a third (28%) lower among diabetics who were taking glitazones, compared to patients using other treatments for their diabetes. The findings were the same even after accounting for other contributing factors affecting Parkinson’s risk, including a head injury and history of smoking. The study’s findings confirm results from previous animal studies. However, this particular study only shows a relationship between glitazones and Parkinson’s risk; it does not address whether or not glitazones have any impact on slowing the progression of Parkinson’s disease once it has already been diagnosed. Researchers also call attention to the fact that glitazones have been associated with significant possible side effects, such as bladder cancer and heart problems. That being said, researchers are confident that these latest findings will help to guide future Parkinson’s research. 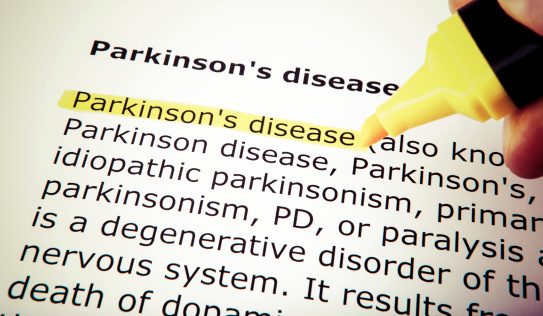 Parkinson’s disease is a progressive condition that’s estimated to affect approximately one in 500 people. The disease destroys the nerve cells that are responsible for producing dopamine, which is the brain chemical that controls movement by conveying messages to the various muscles. Brauer, R., et al., “Glitazone Treatment and Incidence of Parkinson’s Disease among People with Diabetes: A Retrospective Cohort Study,” PLOS Medicine 2015; doi: 10.1371/journal.pmed.1001854. Paddock, C., “Diabetes drug may reduce risk of developing Parkinson’s disease,” Medical News Today web site, July 23, 2015; http://www.medicalnewstoday.com/articles/297170.php.